GVIDO, digital music score device produced by GVIDO MUSIC Co., Ltd., a group company of Warehouse TERRADA received iF DESIGN AWARD 2019 which is organized by iF Industrie Forum Design (Hannover, Germany). The award is known as one of the most important design awards in the world, and the jury consisting of 67 design experts selected GVIDO as one of the winners from almost 6,400 entries in 52 countries this year. Before that, GVIDO had been selected as one of the GOOD DESIGN BEST 100 in the GOOD DESIGN AWARD, the Red Dot Design Award and other design awards both at home and abroad. Encouraged by this award, GVIDO MUSIC will continue to contribute to the quality of its products. Also, the GVIDO device will be exhibited at the iF design exhibition Hamburg which will be held from March 16th until April 14th in Hamburg, Germany. A design award established in 1953 by iF Industrie Forum Design (Hannover, Germany) which is the oldest independent design institution in the world. The award is for all industrial products all over the world and consists of seven categories such as product, packaging, communication, service design/UX, architecture and interior design, and professional concept. 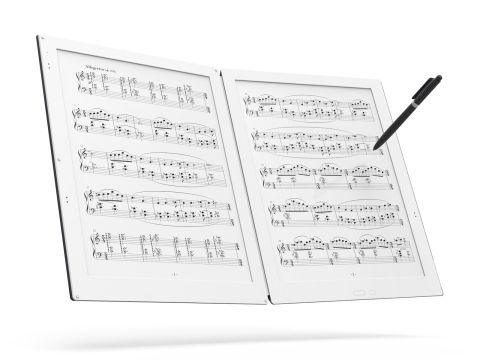 The dual-screen music score device GVIDO has functional features such as its light weight and ease in viewing music scores. In addition to these, the design has also been highly praised, and in April 2018, GVIDO received the Red Dot Design Award, a highly coveted German design recognized worldwide, and in October 2018 was selected as one of Japan’s Good Design Awards Best 100. More news and information about GVIDO MUSIC Co.,Ltd.